3. What aspects of school culture hinder us from moving forward? Challenge with students' academic preparedness and seriousness. 5. 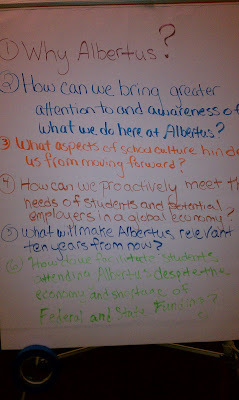 What will make Albertus relevant ten years from now?